Updated November 3, 2016 – The FCC (Federal Communications Commission) now requires all makers and service providers of cell phones to develop their technology in the favor of people who use cochlear implants and hearing aids. If you wear a hearing aid or use a cochlear implant, it is now easier to find a cell phone that will better suit your needs. The new FCC rules require cell phones to have better telecoil connections, less interference, and less static. 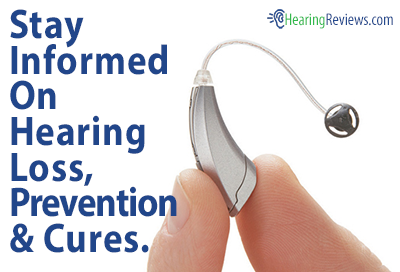 To find a hearing aid compatible (HAC) cell phone that will work for you, simply look at the label. You can find HAC labels in the cell phone users manual, on the cell phone package, and/or on an information card next to the phone display at the cell phone retailer store. If the HAC label is not found in any of these possible places, the cell phone is likely not HAC. HAC cell phones will have a microphone (M) rating of M3 or M4. Cell phones rated M3 or M4 will work with your hearing aid in microphone position, and the higher the M-rating, the clearer your phone will sound. 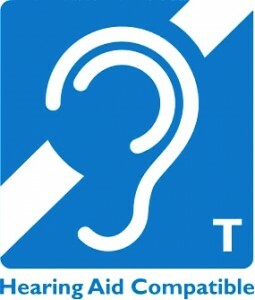 For users with cochlear implants, cell phones with a telecoil (T) rating will suit your hearing needs. Cell phones with a rating of T3, T4, or higher will work to make your phone conversations clearer. HAC ratings are not exclusive to cell phones. Makers of hearing aids will use the M (microphone) and T (telecoil) systems to rate their products as well. Hearing aids in microphone mode, rated M1 to M4, will be better connected with less noise interference. Telecoils rated from T1 to T4 will provide better clarity. Most new hearing aids will have a rating of M2/T2 rating, but you should ask your audiologist about the ratings of hearing aids that will work best for you. For cochlear implants, the rating system is not required, but it is still important to research the T- rating that will best suit your needs. To figure out which cell phone will work best for you, just add up the M- and T- ratings. If your cell phone has a combined M/T rating of 4, it is considered usable and can complete a brief phone call, but this quality may not be acceptable for regular phone use. A combined M/T rating of 5 is considered normal and acceptable for regular phone use. Better yet, if your phone has a rating of 6 or higher, it is considered “best”, and will provide highly usable and excellent quality performance with both microphone and telecoil modes. When looking for cellular devices that are HAC, you should also consider additional features that will make your cell phone experience the most usable and convenient. First and foremost, when researching the best cell phone for your hearing needs, make sure your phone has adjustable volume controls for ringers, tones, and calls. Also look for cell phones with vibrating alerts and text messaging service (most phones will be equipped with these features). Secondly, look for speech-to-text and Teletypewriter (TTY) mode/option in the cell phone’s menu system. You can find the TTY symbol on the cell phone user manual or packaging. Users who are hearing-impaired should make sure their cell phone features a flashing screen for call notification, and speaker phone capabilities to reduce interference by distance between the hearing aid and phone. For telecoil users, display and keypad lighting controls are important because light is always an interfering noise source. Finally, video streaming is a feature that most Smartphones have, and is important for the hearing impaired. Looking for one device with all necessary features can be difficult, so there are additional attachments and accessories that can assist in making your cell phone connection that much better. Add-ons decrease the interference between the cell phone and hearing devices by creating distance between them. Many manufacturers have already developed neckloops and earhooks that have a telecoil for cochlear implants or hearing aids. These earhooks and neckloops are equipped with a microphone, and plug directly into your cell phone to make hearing easier. If you use an in-ear hearing aid, you may benefit from add-on devices that come with an earbud, just like the earbuds used for other audio devices. The single earbud attaches to the cell phone, connecting to a microphone and amplifier. 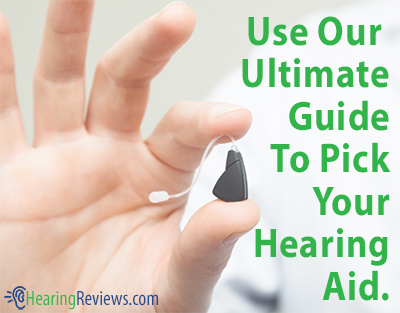 If you prefer wireless (Bluetooth), you can use a device that can connect directly to your behind-the-ear hearing aid, or use the previously mentioned earhooks or neckloops. Many add-on devices provide a hands-free cell phone experience, which is important while driving or operating motor-vehicles. Multiple states now require hands-free devices by law if you are behind the wheel. If you do not have a hands-free attachment, you can use the microphone mode in your hearing aid and the speaker-phone function on your wireless device. I Got hearing loss of around 50% on left ear i want small hearing aid which in not visible more over how u will configure frequency according to hear loss pls advice how to select this eqiupment.